Puzzlemad New Additions: The Devil escapes with his pet! The Devil escapes with his pet! Quite some time ago, I showed off this lovely 14 piece burr by designed and made by Alfons Eyckmans. It looks like there are only 12 pieces but 2 are made in the shape of the devil and his pet and lie entirely hidden inside! 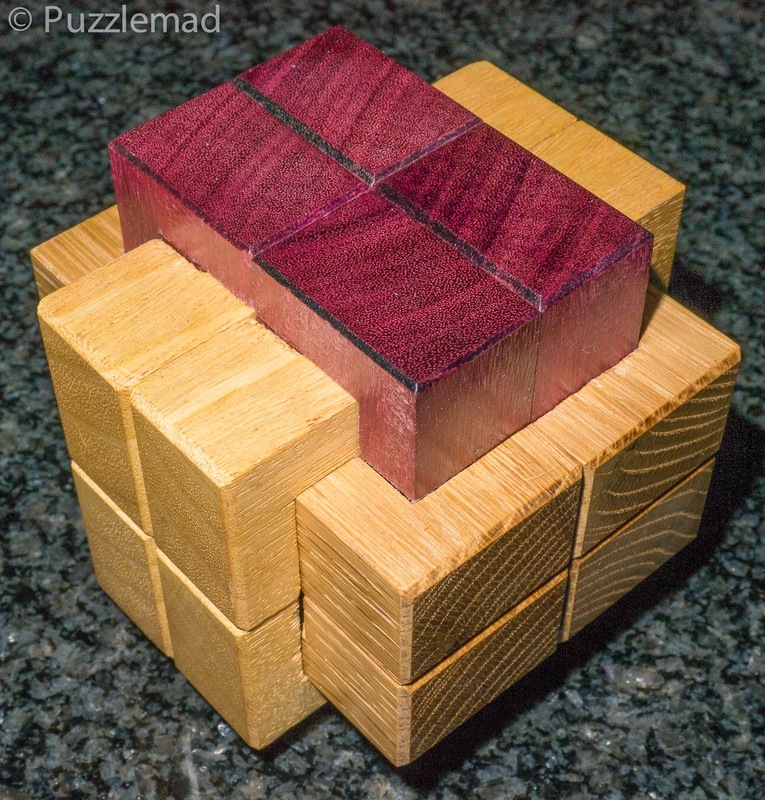 The need to be moved around during the solve to allow the puzzle to be dismantled completely. It has taken me over a month of trying! I just could not find the last few critical moves but did get there in the end! I suspect that Andreas Röver's marvelous Burrtools program will be needed to allow it to be reassembled!